This has been one crazy-busy fast week. No time to stalk, no time to hop, no time to slice, and no time to sit…on my patio. This was the first full week of school. I got to meet my new sweet student teacher. I started my graduate class. And we had our first grade parent meeting tonight. I have to say tonight was one of my best parent meetings I’ve ever had. The parents are sociable, and fun to talk with. They seem very excited about their kiddos first grade year, and I can hardly wait to get to know them better and become partners in their child’s education and future. I am very excited about this year and my cute kiddos and their families. Lindsay is my new student teacher. She started Monday and jumped right in helping and teaching. I was so blessed last year with Susan as a student teacher (who is teaching third grade in our school this year), and I am just as blessed this year with Lindsay. I do feel bad for her and every student teacher in EC at OSU they really pile on the workload for these poor girls. One thing is for sure they are well prepared for their first teaching job. Tuesday night was my first night for my first class toward my masters. I must have had some funny looks on my face because after class the professor asked if I was ok. I laughed and said “oh yes it is just much different than First Grade!” Anybody know anything about curriculum and leadership? Now on to hopping! 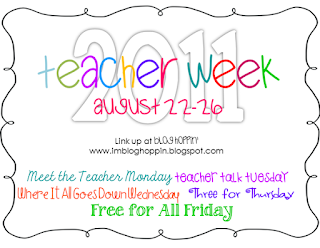 I missed Tuesday and yesterday on Blog Hoppin’s Teacher week so I’ll start with today’s and try to catch up this weekend. Today we get to post our Three for Thursday. 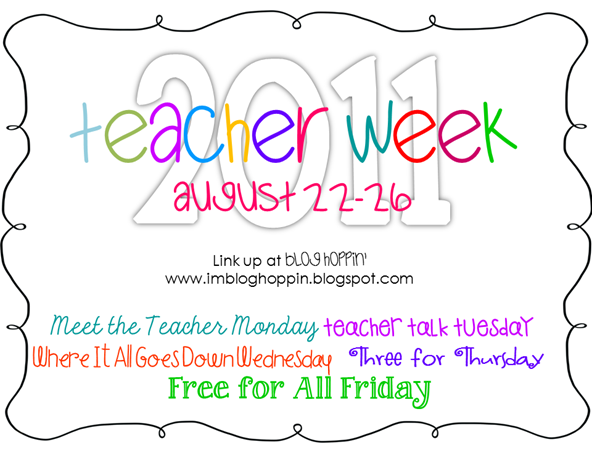 Pick your favorite font, blog and online resource and link them up to Blog Hoppin’s Three for Thursday to join in! Better Fonts is easy to find and has some cool fonts that are shown as you search which is very helpful. 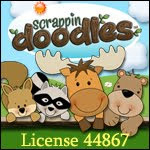 Find them here http://betterfonts.com/a.php?p=3&l=a to try them out. Well that’s a tough one. I love them all and think I’ll probably overload my computer from all the great downloads, and joining as a follower. 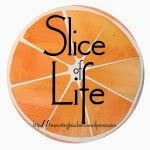 The first blog that I ever visited (I like to think as myself as a guest instead of a stalker Haha). 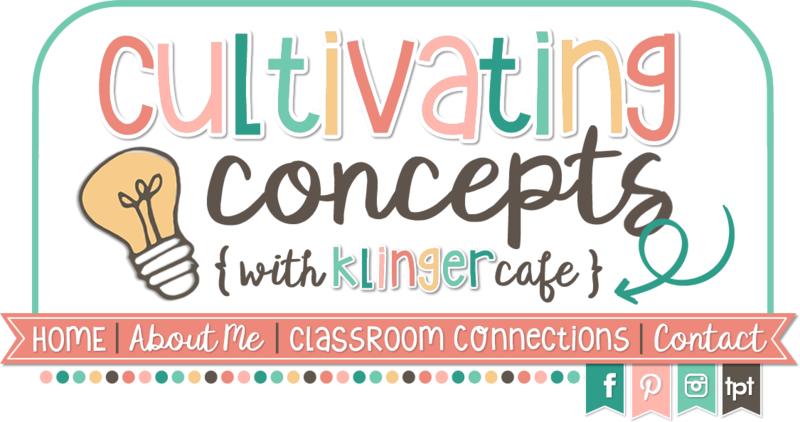 I have made some AWESOME bloggy friends here, and it has been my inspiration for writing, blogging and summer professional development- The Two WritingTeachers. 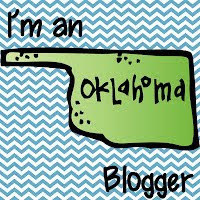 This amazing blog and Stacy and Ruth have given me so much in the writing/teaching/blogging world; they and their blog are amazing. I would also say they are one of my best and favorite Online Resources as well. 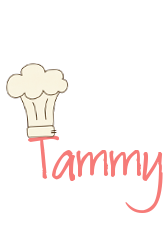 Pinterest is my newest obsession and place for great ideas, both professional and personal. I also like Sqworl and Teaching Blog Addict. And there they are- my Three for Thursday done just in time for bed, another favorite place… and yet missed this week!